All of my Dynon temperature probes worked well for about 100 hours. Then, I started getting intermittent readings on some of the EGTs. My research indicated that I might have been lucky to have not had problems sooner! 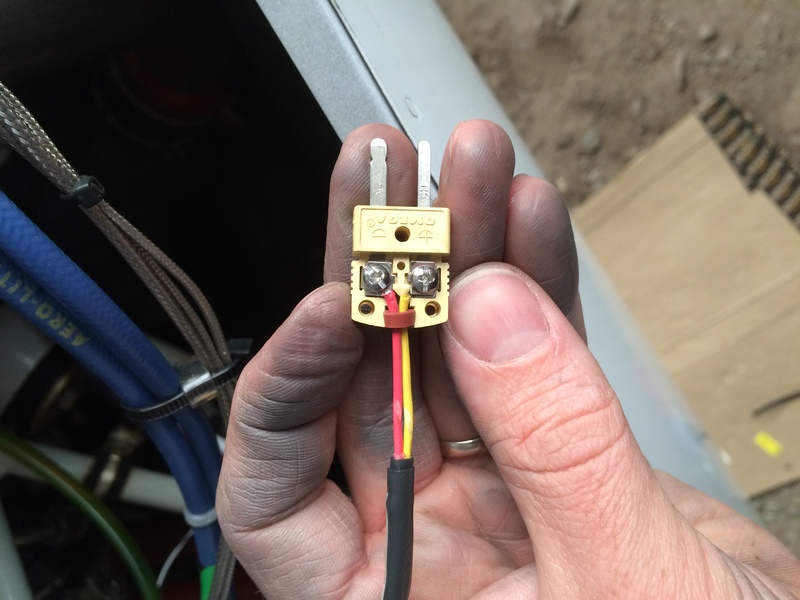 Many builders have found that the Dynon-supplied connectors just aren’t up to the job, for a combination of reasons. One is that the thermocouple wires don’t fit well into the crimp-on terminals, and they don’t crimp securely. 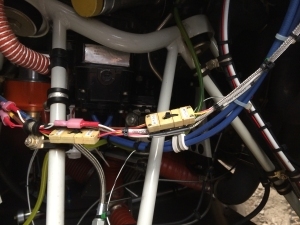 In an age where almost anything is available at our fingertips, why should we be flying around with problem connectors? Omega makes connectors that are designed to work with thermocouples, so I ordered a set of five HMPW-K-MF connectors. 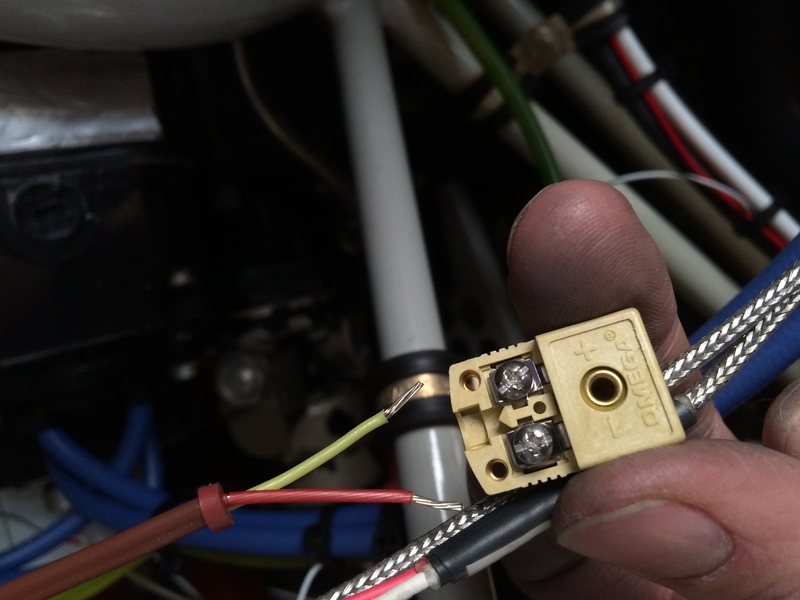 I removed the old spade connectors and stripped back enough wire to get to. The little dark red donut goes over the wires first to provide a seal and strain relief. So far all of my intermittent indications have gone away. I’ll follow up here if they come back. I only replaced the EGT connectors, but it would probably be a good idea to replace the CHT connectors too. 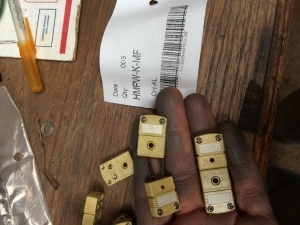 It looks like they use type J thermocouples for the CHT, so the Omega part number would be HMPW-J-MF for a male-female set. 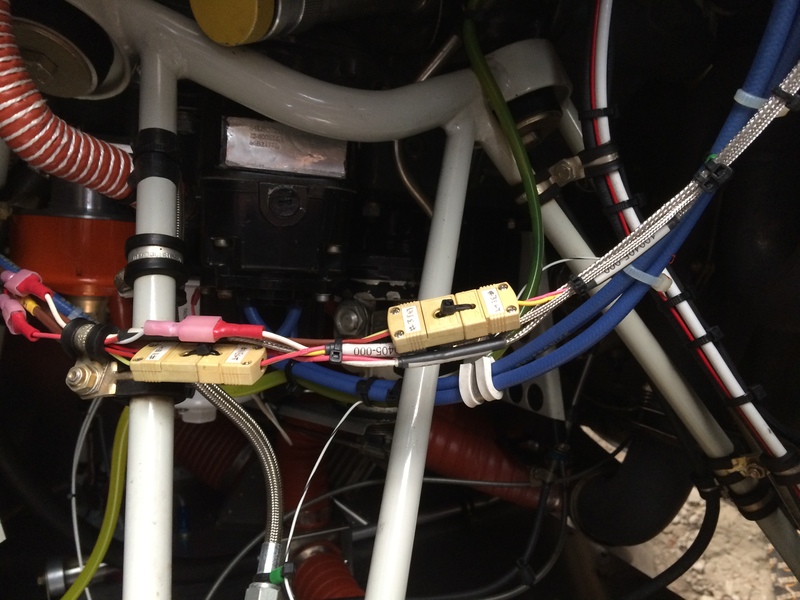 These were cheap and easy to install, and seem to be a great alternative to the OEM Dynon thermocouple options.